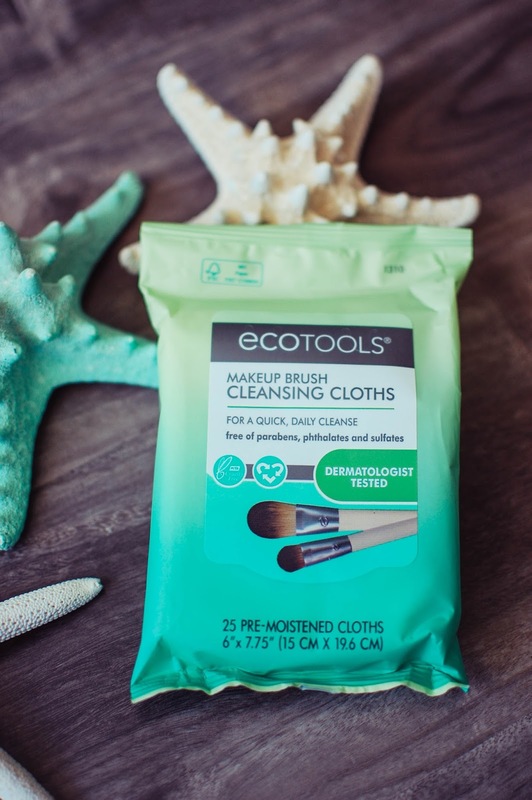 These EcoTools products were sent free from Influenster for testing purposes. 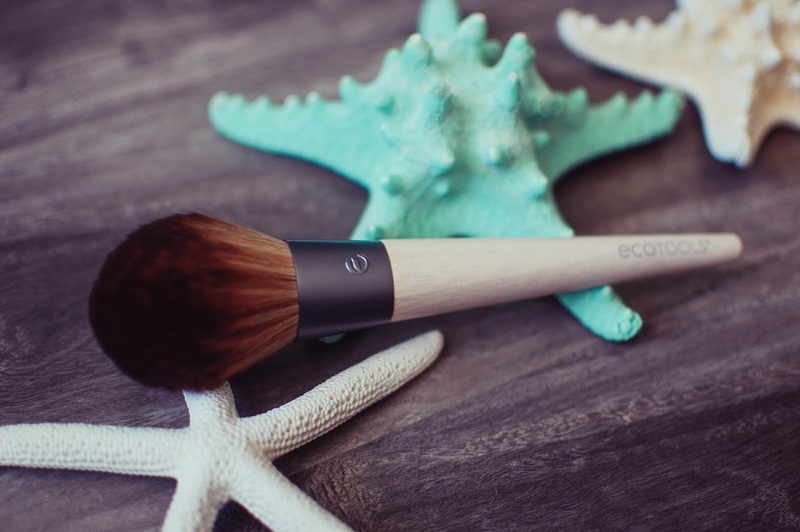 I have an EcoTools Finishing Powder brush that I received form Influenster a while back that I quite enjoy. 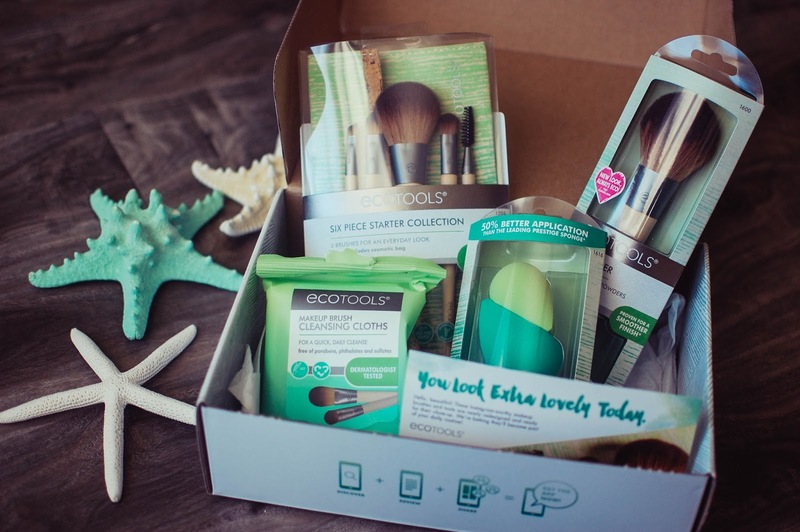 When I saw that I was on the list to get the EcoTools brush box I was stoked. I appreciate that the brush types include their name on the handles. Most makeup junkies know their brushes but this is a nice touch for those who are just getting into using more than the sponge applicators in the eyeshadow quads. The pouch holds all the brushes in the set plus more if needed and closes with a single center snap. A set similar to this EcoTools Starter Set (no bag and the brushes are slightly different but it is called an EcoTools Starter Set) runs $12.99 at Target. I have been using these brushes for the past week and I like them. The bristles are baby soft yet firm enough to get the job done without flopping all over. The concealer brush is a bit small for me but I use it for all over lid color on the eye anyway. The angled liner is nice and straight but a little too thick for my tastes. I use it more for the corner "v" shading rather than actual lining of either the top or bottom lids. Plus it is nice for a precise highlight line under the brows. The blush brush is my new go-to. Love it so much that I quickly gifted my Sonia Kashuk blush brush to my littlest for playing and moved this one up into my everyday rotation. It doesn't shed hairs like my old Sonia Kashuk (all over my face and chest). The shader is nice and the spoolie is pretty sweet for eye brow combing. 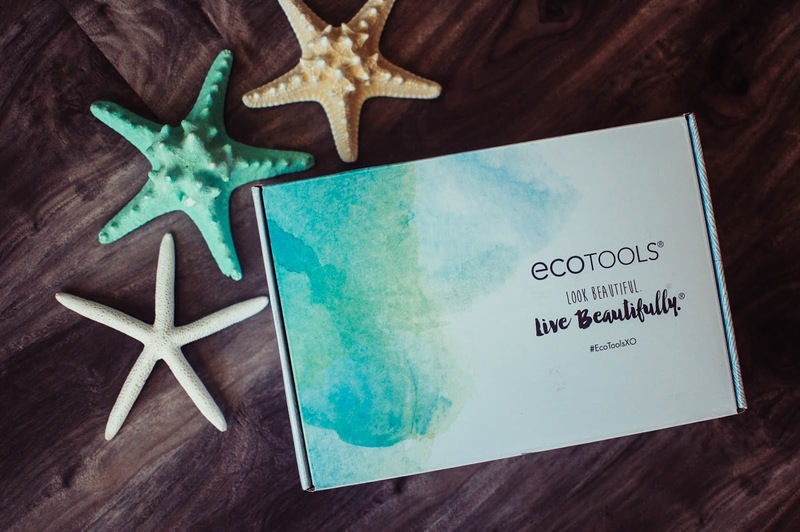 After really getting this chance to immerse myself in EcoTools more fully, I like the brand. The brushes are reliable work horses. I would not hesitate to buy more to flush out my brush collection. The sponges were satisfactory. I would not buy the makeup cleaning wipes. 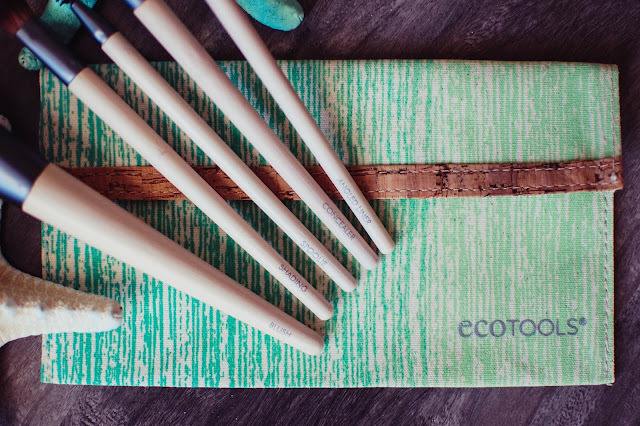 Do you enjoy EcoTools? 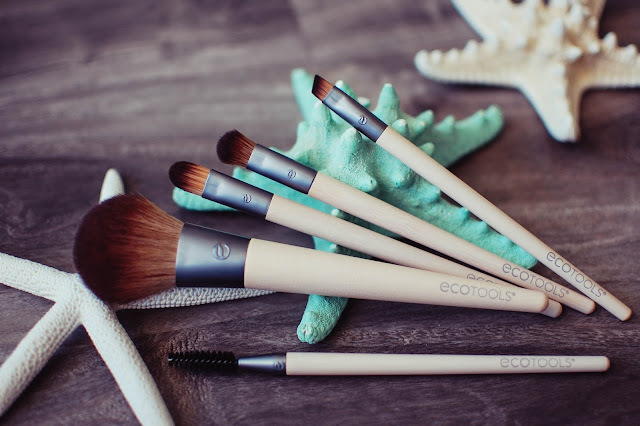 What brushes do you rely on in your beauty routine? 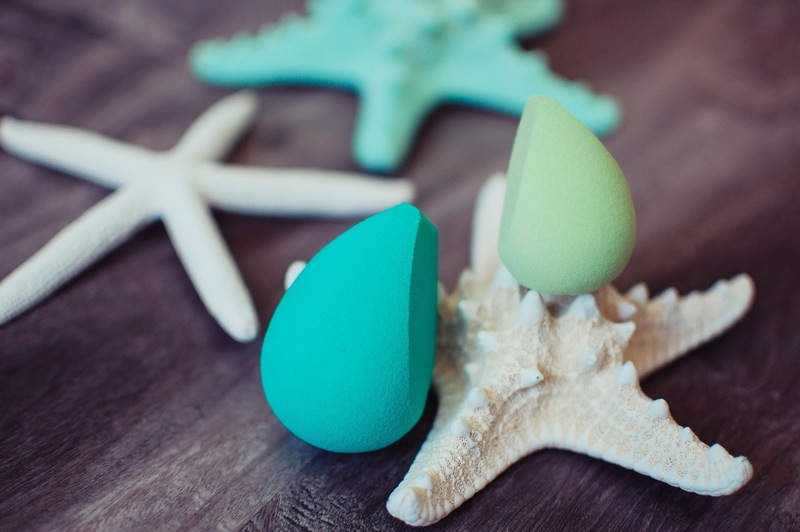 Are you a blending sponge fan? My word, I take a look at all this awesome stuff and realize I have, like, NO beauty routine. I own two eyeliner brushes, two eyeshadow brushes, a powder brush and...and that's it. Otherwise, I'm a with-my-hands kind of person when it comes to my makeup. LOL! I prefer to use my hands a lot too. I use fingertips for cream eyeshadows, lip and cheek stains, concealer, pretty much anything. But the brushes do come in handy for powders and shadows. I can report back in a few months after harder use. But yeah, the cloths were a no-go for sure.